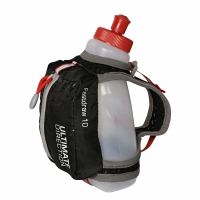 The Ultimate Direction Fastdraw 10 Bottle is perfectly proportioned for everyone, everyday. This ergonomically shaped bottle makes for easy drinking and easy holding. The Cool Wick Air Mesh strap is soft to the touch, breathable and wicks moisture. 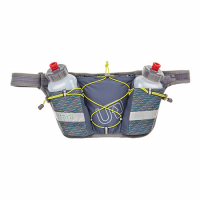 Scott Jurek designed the Ultimate Direction SJ Ultra Vest to be the perfect all-around product for everyday use or high-end racing. Comfort and performance are outstanding due to it's technically advanced design and features.